Prepare to enter a nightmare world in short film The Kids by filmmakers Matt and Oz. What starts out seemingly innocent, with a couple of neighborhood kids saying hi and then following a guy as he says goodbye to his girlfriend and her parents, soon turns weird as the kids following him keep growing in number. And just won't stop. 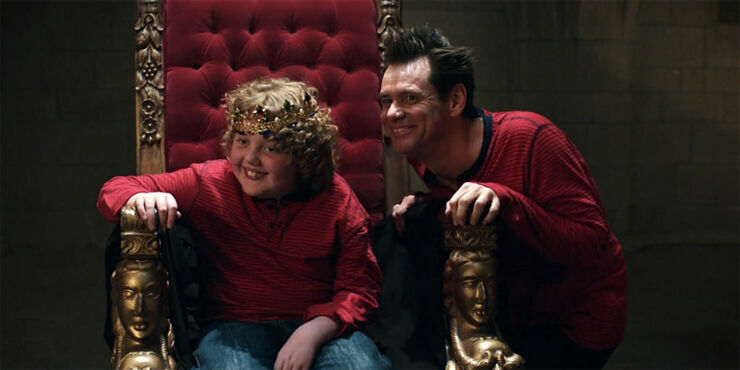 While escaping he accidentally stumbles upon the lair of a child king who inexplicably has Jim Carrey as his stooge. Then things get a bit stranger as our protagonist has to bark like a dog before waking a room of sleeping children as he goes to leave, who start to attack him. It's all rather terrifying and uncanny and is no doubt some kind of metaphor for commitment phobia. That or maybe it's just a warning about what will happen when the children of the world rise up and turn on their adult masters.